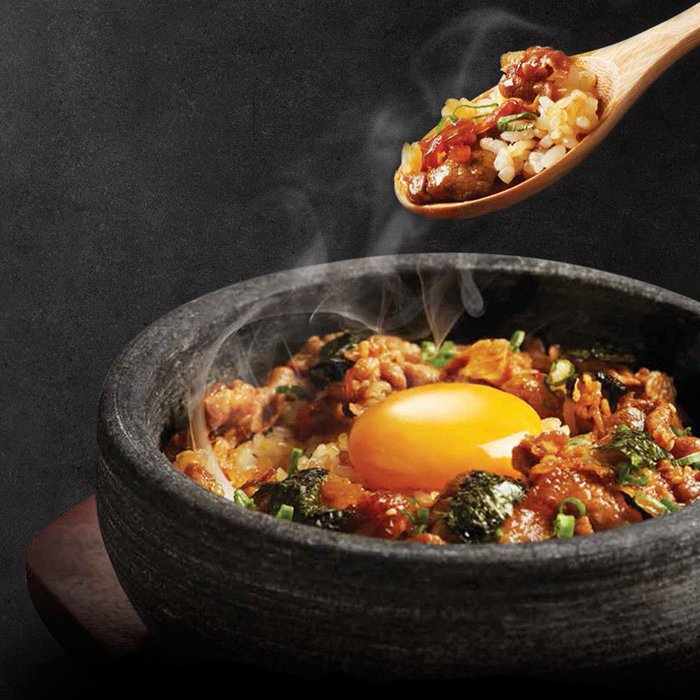 Served in a heated stone-pot rice bowl to ensure that it is best enjoyed at the optimum temperature, this perennial favourite boasts both pan-fried and barbecued pork, spring onions, seaweed, raw egg and a drizzle of addictive secret sauce. 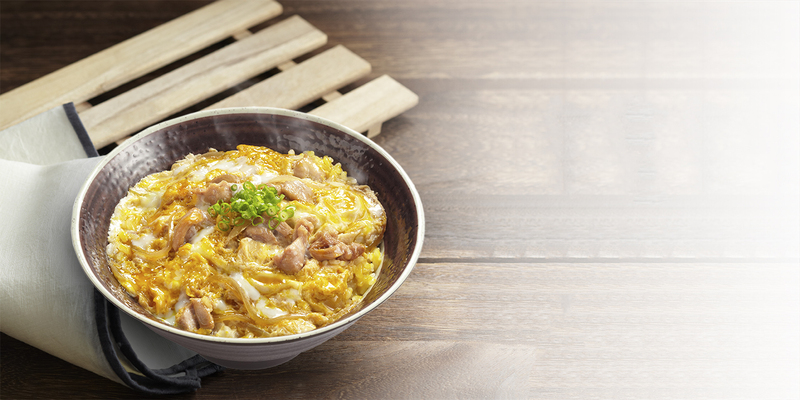 Work all ingredients well with the pearly morsels of Koshihikari rice, and be prepared to be blown away by the burst of flavours! 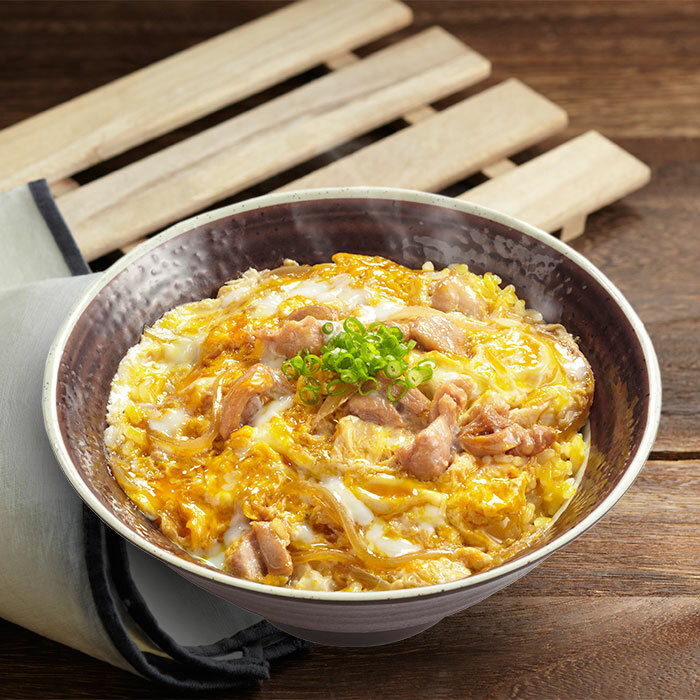 Served with miso soup, the Oyakodon Set features a sunny-yellow topping of steamed egg and chicken flavoured with special Shoyu sauce atop a bed of Koshihikari rice. Simple and satisfying! 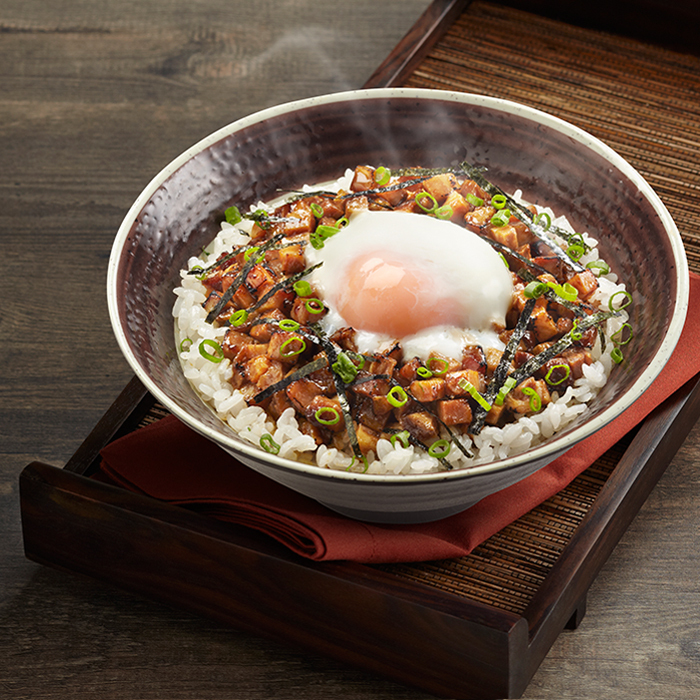 Sō’s rendition of the Cha Shu Don Set presents a meaty topping of teriyaki marinated diced pork loin over an inviting mound of top-grade Koshihikari rice, and served with a complementary miso soup. 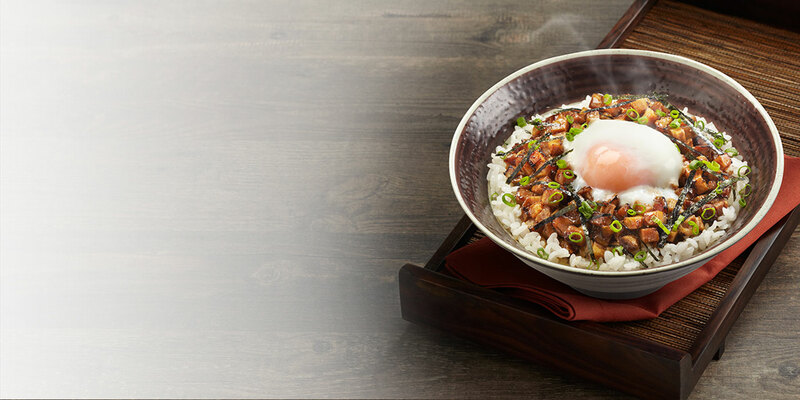 Crowned with a slow-cooked onsen egg, the Cha Shu Don makes a wholesome meal. 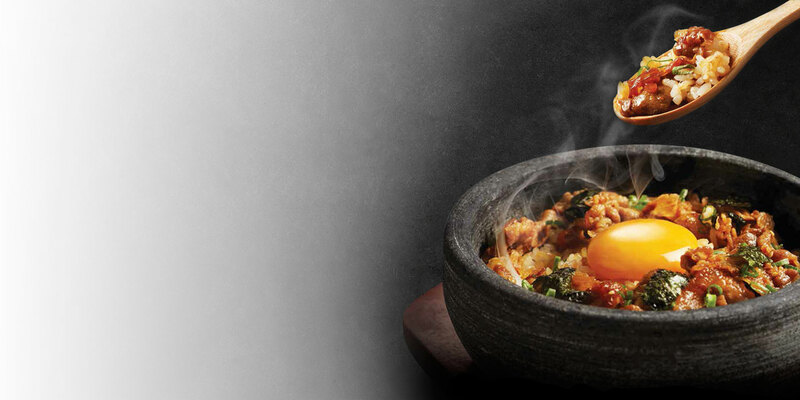 Mix well to enjoy succulent meat in every mouthful!